Back in February, as you may remember, we announced an evening of celebration in London for WhatDoTheyKnow’s tenth anniversary. And then it snowed, public transport ground to a halt, and we made the tough decision to call the party off. But it was only ever a postponement. Now we’re in a more temperate season and we’re determined to get this milestone celebrated! We’ve rescheduled, and we’re looking forward to an evening of talks covering the project’s past, present and future, not to mention chat, drinks, nibbles and the best FOI-based playlist you’ve ever heard. If you’d like to come and join us for this event in London on the evening of July 3rd, please email Gemma with more about yourself and why you’d like to come. Spaces are limited so let us know asap if you’d like to attend. 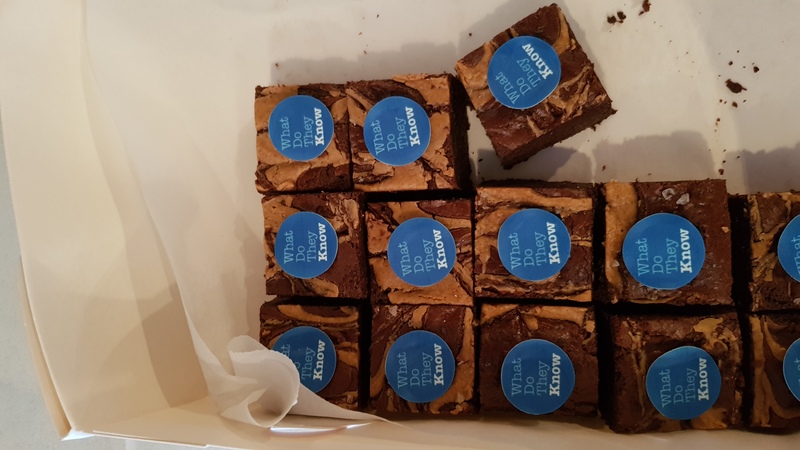 To help us mark WhatDoTheyKnow’s tenth anniversary, we asked volunteers, supporters and users to tell us which Freedom of Information requests from the site’s first ten years particularly stuck in their minds. The result was an eclectic mix of stories that really show the breadth of how WhatDoTheyKnow has been used. They have very little in common — unless you count the imagination and tenacity of those using FOI to try to uncover significant information. Doug is one of the team of volunteers who give up their time to keep WhatDoTheyKnow running, using their experience and knowledge of FOI to moderate the site, give users guidance, and help set policy. Doug is also an extremely active user of FOI, having used the act to uncover many examples of discrimination and malpractice over the years. He highlights the story of a care home talking the talk, but very much failing to walk the walk when it came to paying its staff the living wage. “The exposure brought about by FOI played a significant part in the campaign for Leonard Cheshire, care home operator with 2,100 residents, to significantly increase carers’ wages to (just short of) the voluntary living wage. Journalist Heather Mills covered the story in Private Eye.” Read the whole story here. 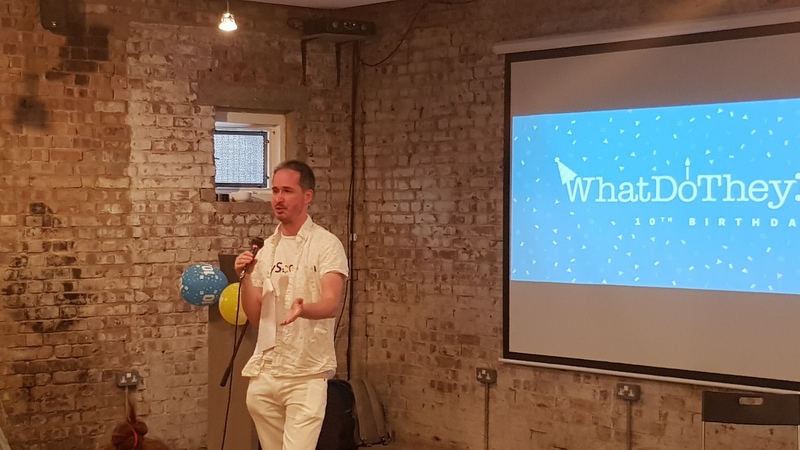 Owen co-founded FaxYourMP, the earliest version of mySociety’s WriteToThem, and has been an important part of the organisation ever since — he’s now one of our trustees and a non-executive director. He recalls the building and launch of WhatDoTheyKnow and indeed was one of its earliest registered users. “I went round in circles trying to find out some Cold War information that nobody claims to know any more. In 1980, the entire Civil Service, nationwide, ran a dry run of a Cold War nuclear attack on the United Kingdom, called Operation Square Leg. I’m slightly concerned that we spent a lot of money planning the civil contingencies of a Cold War attack — a sensible things to do, arguably — but no longer know where we were expecting to be hit or at what megatonnage.” Owen links to the requests from this blog post. Today he recalls its impact: “This document underpinned the police taking a corporate manslaughter case against TfL to the Criminal Prosecution Service with regard to a cyclist’s death in 2011. The case did not proceed but was instrumental in changing TfL’s attitude to cyclists’ rights. “Then this request revealed a massive overspend by Network Rail in refurbishing its own offices at Kings Cross”. “The National Police Chiefs’ Council revealing that there was no governance system in place for the Automatic Numberplate Recognition System (ANPR) and the existence of Met’s ‘Olympic Data Feed‘ led to a new governance system being instilled; some 2 billion records were deleted along with the introduction of a vastly reduced retention period.” Annotations at the foot of this request give a little more background. A long-standing pillar of mySociety’s development team, Matthew wrote the core code behind many of mySociety’s most notable websites and tools, including FixMyStreet and TheyWorkForYou. He spends his working days coding for mySociety’s useful tools, and much of his free time coding his own useful tools, if his website is anything to go by. What was his most memorable FOI request? The data is mapped here. Why is this request significant? So there we are: a handful of the 458,219 requests that WhatDoTheyKnow has processed to date. There are so many stories around FOI requests: each of them represents someone’s burning question; many of them result in a response that’s important, or fascinating, or historic. And that’s what makes WhatDoTheyKnow so rewarding to work on. On 22 February 2008, we posted an announcement on this very blog: “the new mySociety Freedom of Information site is now live”. 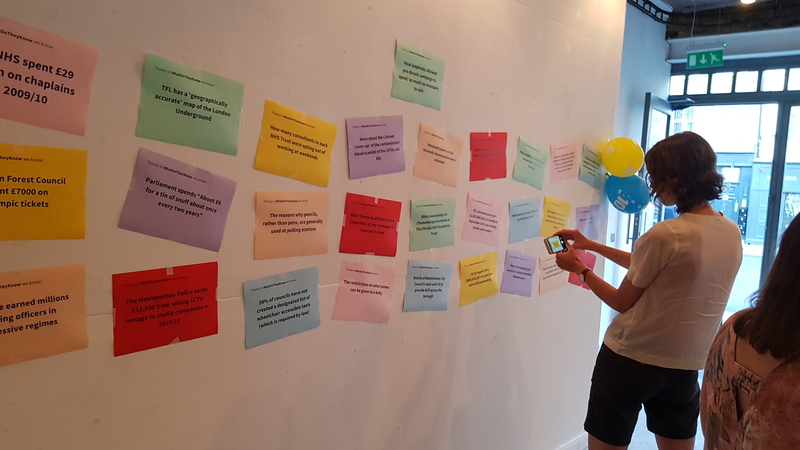 More than 450,000 requests later, WhatDoTheyKnow is marking its tenth anniversary: as part of the celebrations, we’ve put together a timeline showing how WhatDoTheyKnow has intersected with the history of FOI in the UK since we first gained our right to information in 2005. If nothing else, you may enjoy looking at the site’s rather more primitive design back in its early days. The past decade has seen legal challenges, contributions to Parliamentary inquiries, and the development of our code for use in other countries (26 and counting). It has proved that an ambitious project can be kept going thanks to the efforts of unpaid but skilled and dedicated volunteers. Most of all, though, it’s seen you, the general public, submitting requests for information, and sharing the responses you receive. That was always the idea, and, it turns out, it’s a pretty sound one. On Friday the 2nd of February, 2007, the very first public report was sent through FixMyStreet. It concerned a broken light on a canal footbridge in Oxford. It’s a little-known fact that FixMyStreet was originally called Neighbourhood Fix-It. Launching the site was a good idea, but changing that name may be the next best thing we ever did. Ten years on, the site has processed over 900,000 reports, sending them to every local authority in the UK. In doing so, it helps citizens take an active part in keeping their own local communities clean, safe and functional. Meanwhile it ensures that you, the user, never have to give a second thought to which council needs to receive which type of report. 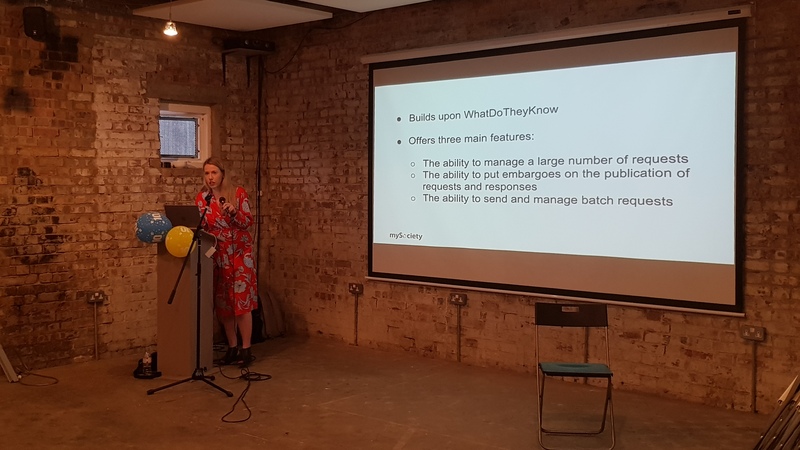 But it’s not just a local success: FixMyStreet’s codebase has also been used to set up similar sites in more than 20 countries worldwide, from the Maldives to Malaysia and beyond. 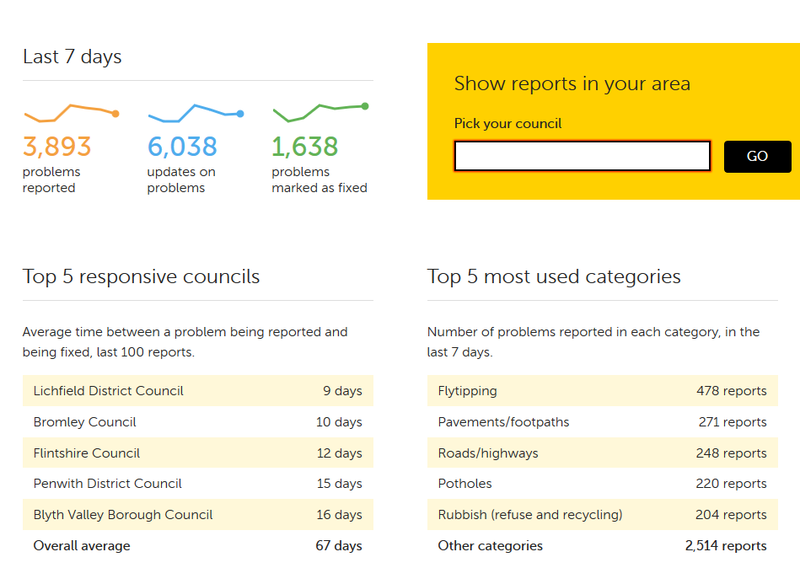 It’s been adopted as several councils’ primary fault-reporting interface on their own websites, from Bristol to Oxfordshire and even Zürich, and we’ve worked in partnership with these authorities to develop new features that make it as useful and simple to use as possible. Watch this space, as we’ll be talking a lot more about these soon. FixMyStreet continues to surprise even us. Thanks to its remarkable flexibility, the codebase has also been used to underpin a number of other projects, including Collideoscope, where you can report cycling collisions and near misses, and the Channel 4 tie-in, the Empty Homes Spotter. We know there will be many more to come. So, here’s to FixMyStreet. At heart, it’s a little site that matches a pin on a map with the body that’s responsible for that location. 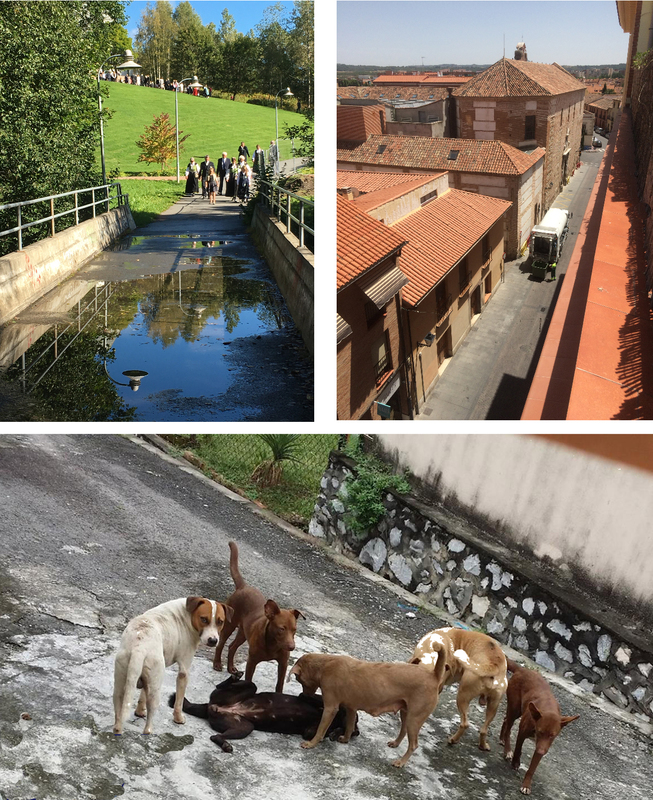 But when you consider what it’s achieved — getting communities fixed up, making council reporting interfaces more user-friendly, empowering people to take their first steps into local participation, even challenging corruption — well, we hope you’ll see why we’re proud of how far FixMyStreet has come.